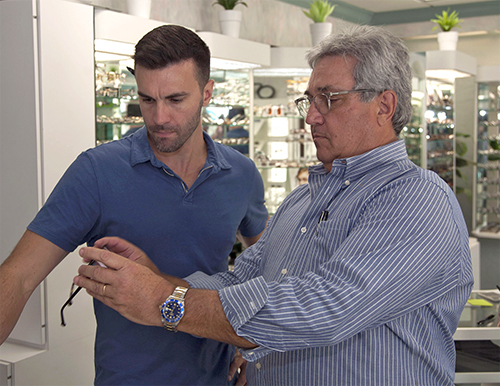 Welcome to Optical Services Inc.
Optical Services Inc. is an independent Optician based in Sarasota Florida. Since 1960 we have offered our services to Sarasota and the surrounding areas including Bradenton, Venice, Longboat Key, Nokomis, and Siesta Key. We pride ourselves on being experienced, knowledgeable, professional and affordable. We feature an extensive line of designer eyewear from moderately priced to high end frames; prescription and non-prescription. We offer full service fitting and repair with an on-premises laboratory. If you have special lens needs you have come to the right place! For Prisms and specialty frames like crutches for lids, SCUBA diving masks, or any kind of repair you may need. We stand behind our products and services and offer one on one personal care to your valued patients unlike the big corporate stores where you are just a number. Experience Optical Services Inc. For better care, better products, and better treatment! Maximize your eyesight with the help of Optical Services Inc in Sarasota, Florida. 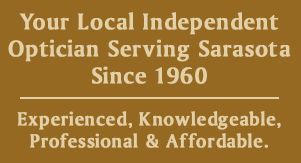 As one of Sarasota's oldest and most trusted opticians, we have been providing the community with quality and professional optical services since 1960. Come in today for all your optical needs, including designer frames, prescription and nonprescription sunglasses, contact lenses, repairs, and more. We specialize in specialty frames and hard-to-find frame sizes. Contact us in Sarasota, Florida, to learn how our optical services can improve your eyesight.